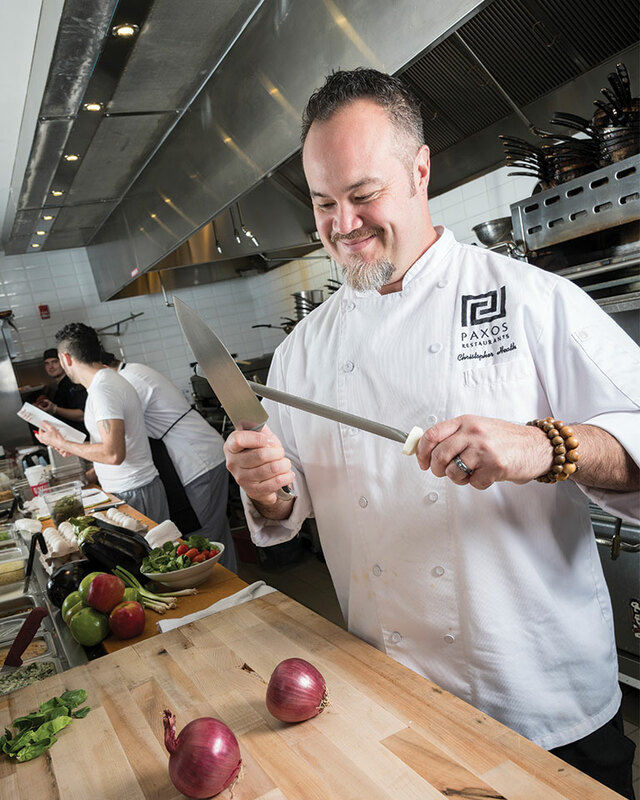 The Cutting Edge - Finding the right chef's knife for your kitchen. An overwhelming abundance of information and choices available online and in stores can drive many a confused consumer to make dubious choices. Why, you might think, should anyone spring $50 to $100 (or much more) on one chef knife when discount stores offer spiffy-looking 15-piece sets, complete with a butcher block, for less than twenty bucks? These bargains, however, fail to deliver the strength and durability needed to keep you slicing and dicing into your sunset years. In fact, culinary professionals who shared their knowledge for this article generally recommend taking a piecemeal approach to building a knife collection suited to individual needs. Most German knives are made of stainless steel with a high-carbon content. This blend that melds the best qualities of both metals: High carbon steel holds an edge well but can stain, rust, and turn black; stainless steel looks great but is harder to sharpen. Each maker possesses a trade-secret recipe for a steel mixture that can include cobalt, manganese, chromium, nickel, and other alloys that are of interest only if your hobby is metallurgy. 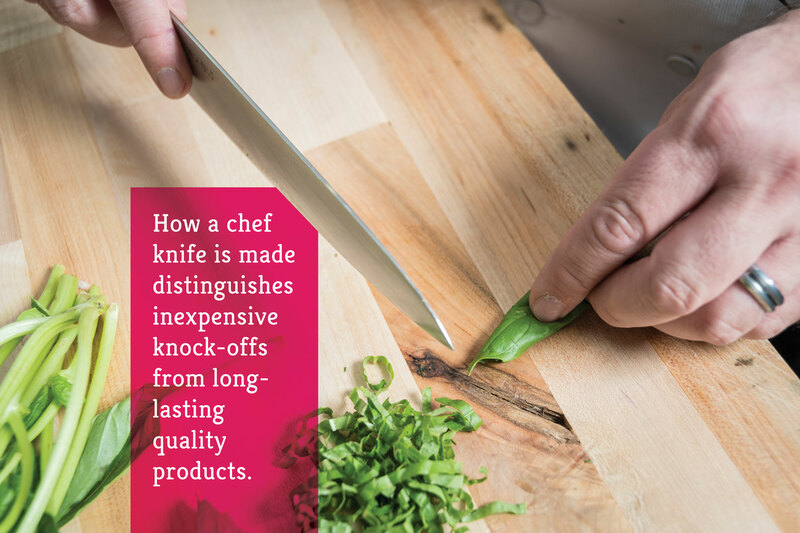 How a chef knife is made distinguishes inexpensive knock-offs from long-lasting quality products. A stamped knife is created cookie-cutter style from a large sheet of steel, to which a handle is attached. In contrast, a forged knife is heated and shaped from a single bar of steel. In the stamped version, the tang—the unsharpened continuation of the blade metal—may run only partway through the handle (called a partial tang), making the attachment less secure and prone to breakage. in contrast, never have a bolster. 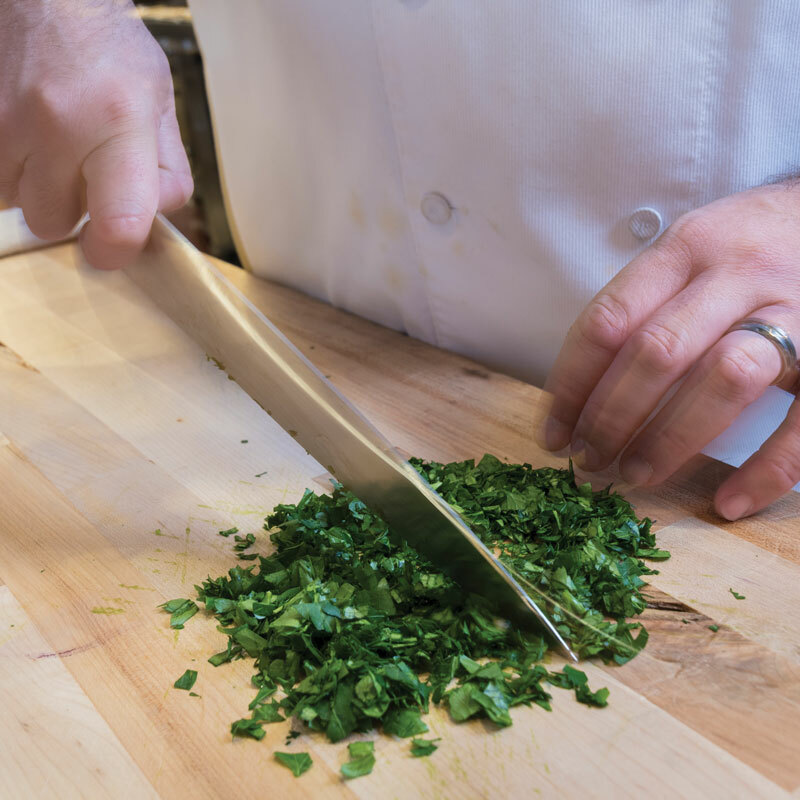 Chef knives are made from 8 to 12 inches in length to accommodate different tasks—extra length translates to extra leverage—and different sized hands. You may wonder whether divots on the blades of many Santuko knives, and more recently chef knives, are decorative or functional. In fact, these indentations create tiny air pockets that reduce friction and help prevent food from suctioning to the blade. “I like them because when you’re cutting a protein, which can stick to a regular blade, it will fall off. 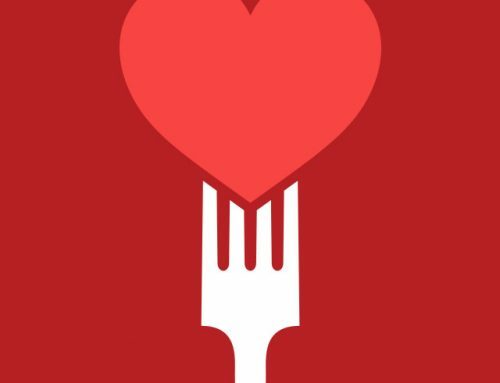 So you’re cutting as fast as you can,” says Chef Shawn Doyle. To further reduce food adhesion, some blades are made with a series of holes. 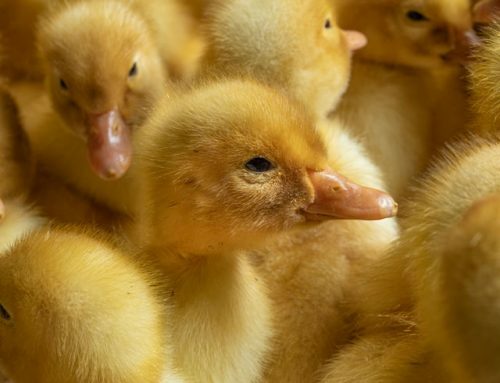 These, however, he cautions against, as they offer places for food particles to hide and bacteria to grow. As a minimalist who hates a cluttered kitchen, this chef sticks with the essentials for day-to-day use. He also advocates for getting kids involved in kitchen activities. Youngsters too little to handle knives will still learn from observation! Well-honed knives need to be sharpened only once or twice a year, so skip purchasing electric knife sharpeners. 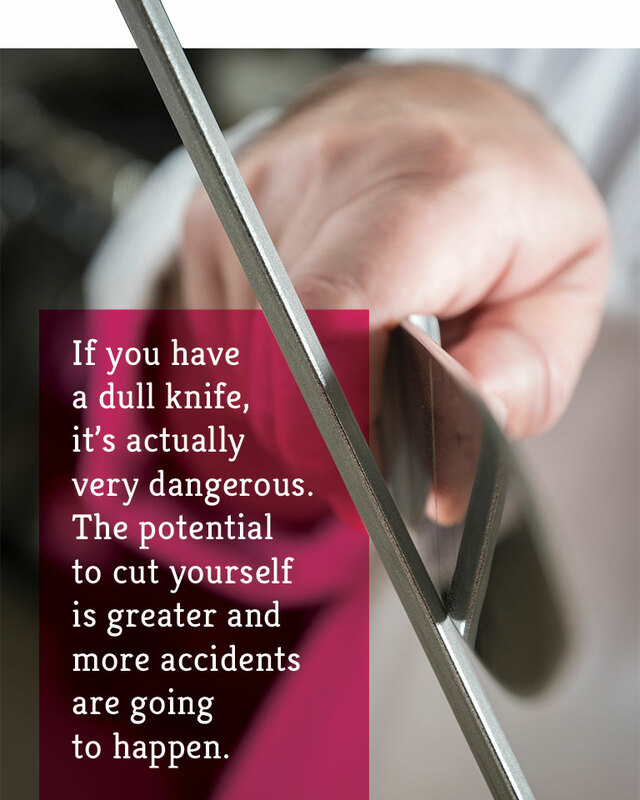 And definitely don’t fall for the hand-held gadgets that can actually inflict damage on a blade. Serrated knives, unfortunately, can’t be sharpened. “Victorinox brand bread knives are only $20 to $25 and they last for years. 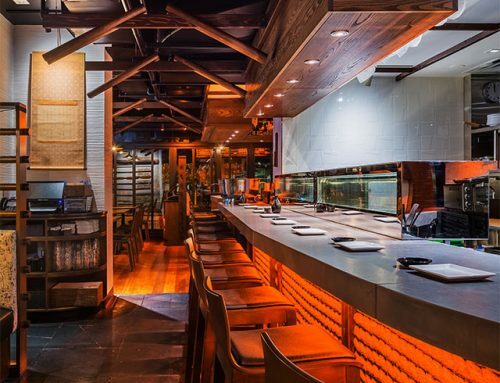 Then you throw it out and get a new one,” says Chef Jason Hook. Transferring food from the board to a bowl or pan should be done with a bench scraper, a rectangular piece of metal with a handle on top, not the knife blade. Tempting as it is to simply scoop up a pile of minced garlic with that nice wide-bladed knife in your hand, the damage inflicted on the edge by running it across the board is tantamount to knife abuse. And a bench scraper can be used for other tasks, such as cutting dough. They usually come in a 6-inch length with measurements marked along the edge—making this an ideal tool for preparing the Ricotta Gnocchi on page 138. Chef Shawn says that a knife is not only “my tool, it’s an extension of my hand.” He also reports that “everyone in my kitchen has their own set of knives.” After all, the choices are highly personal, driven not only by performance but by comfort.When Shawn started his career, heavier German knives were the go-to tools of professionals. However, his favorites have expanded to include lighter-weight Japanese knives. 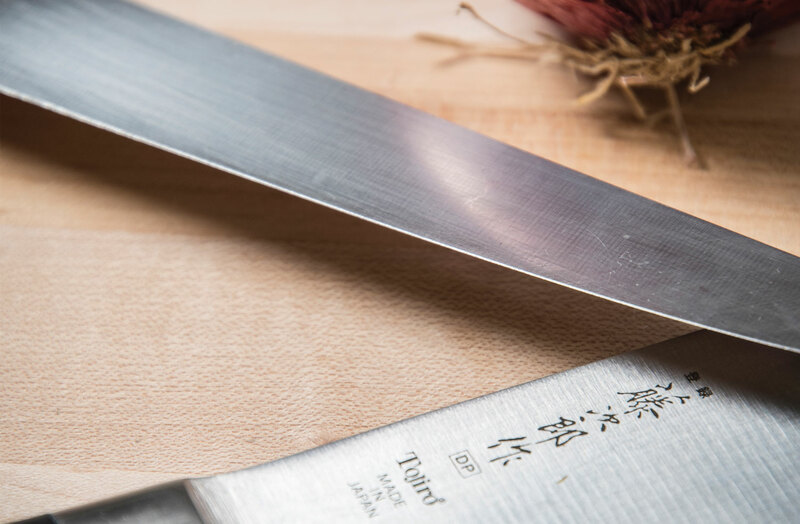 “Even an ounce can make a difference when you spend an hour cutting vegetables.” The Santoku—translating to “three virtues,” or “three cuts,” i.e., slicing, dicing, and mincing—is a style of knife rather than a brand, and is also made by Western manufacturers. 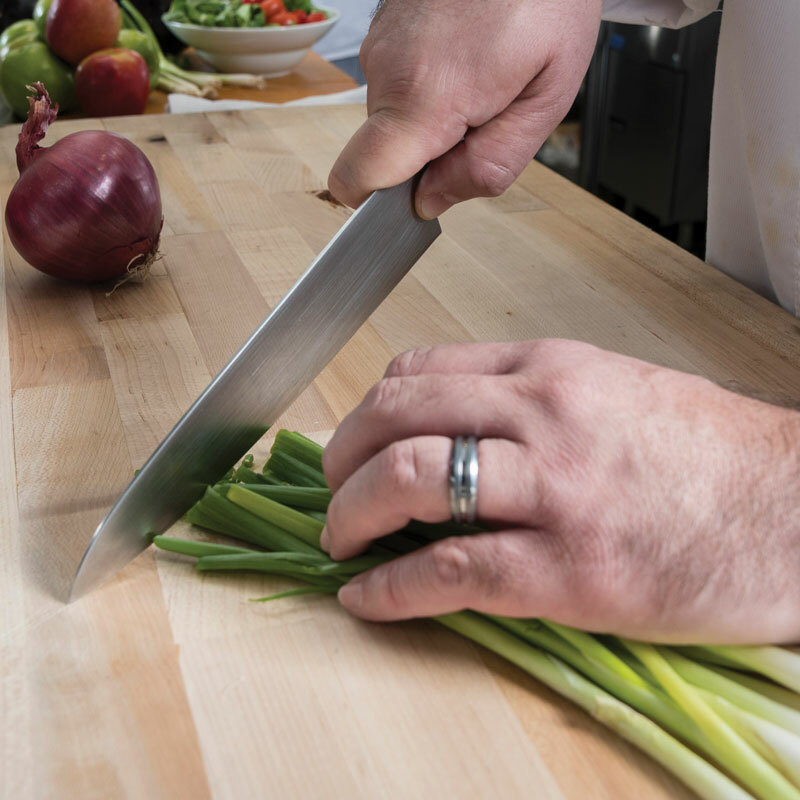 A straight blade, which differs from a chef knife with a curved end that accommodates a rocking motion on the cutting surface, requires some practice to use—so make this a later addition to your collection. Shawn recommends researching knives online before going to a store. “Touch the knives,” he says. 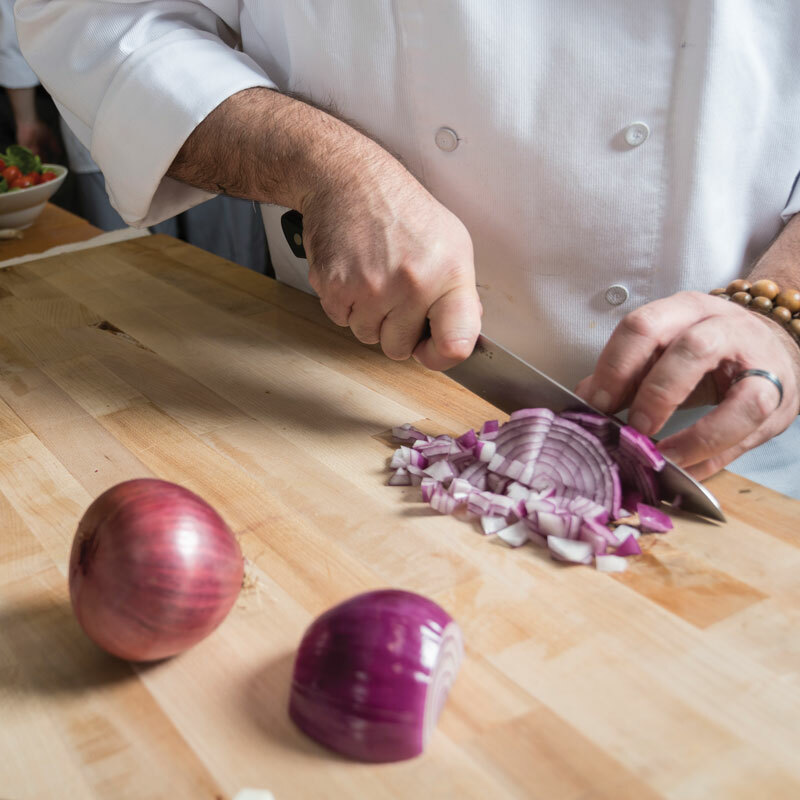 “If it doesn’t fit your hand right, it’s not going to be balanced and it’s going to be uncomfortable.” His four essentials for the home kitchen include a chef knife, a boning knife, a bread knife, and a paring knife. Do wash knives in warm (not hot) soapy water after each use, using a soft sponge—not a scrubby—and dry immediately, preferably with a paper towel. 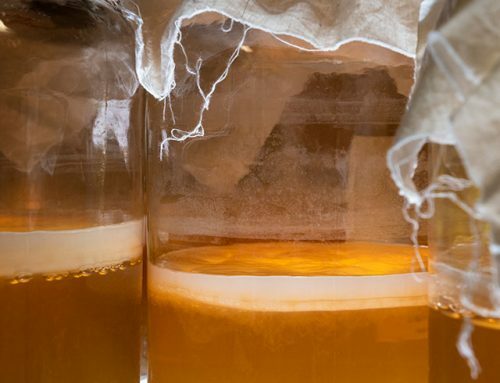 A damp knife can breed bacteria, especially when stowed in a butcher block. Don’t put knives in the dishwasher. Banging against utensils and dishware can ding the edge, and the temperature of the drying cycle may be high enough to warp the blade. Do store knives properly, whether a butcher block, magnetic strip, or other type of storage. Throwing an unprotected knife in a drawer can hurt the blade, and there’s a chance it will hurt you when reaching in to grab something. Don’t use a knife to pry open anything, ever. Just don’t. Ask about the differences between the knife-needs of home cooks and pros and Christopher responds, “Personally, I don’t see a difference. To be serious about cooking at home, it starts with a great knife. A carpenter has a hammer; a cook has a knife.” Some of his favorite German knives for work and at home include a Wüsthof Classic—“It’s a great, durable, sharp knife. As long as you take care of it, it will last forever”—and a Gunter Wilhelm—“That’s another heavy-duty, tough knife.” A Western-style Japanese knife by Torijo, with a thinner blade that translates to extraordinary sharpness, is another top choice. For working with proteins, he chooses Italian boning knives by Sanelli to butcher fish, fabricate meat, and cut poultry. Though ceramic knives have become trendy, he considers them a fad and dislikes the delicate nature of the blade. “I’ve seen too many of them shatter and I don’t want them around food. If you accidentally drop it to the counter from your hand, it can break. I truly believe that at the very least, a home cook should have one incredible German knife.”He recommends that an 8-inch chef knife be a cook’s first knife, which can be used “all day long” for virtually any cutting job.